The St. Mark’s United Methodist Men meet every first Saturday of the month at 7:30 AM for a hearty breakfast before a short devotional. After the devotional, and any business that needs to be addressed, there is a program of some germane topic before the adjournment at 9. Presenters in the past have ranged from sportscasters to leaders of faith based ministries in the area. There is one reoccurring program that everyone enjoys. That is a report from the Boy Scout leaders of the UMM sponsored Troop 398. A work day is scheduled every year for the group to take care of outdoor projects around the church. 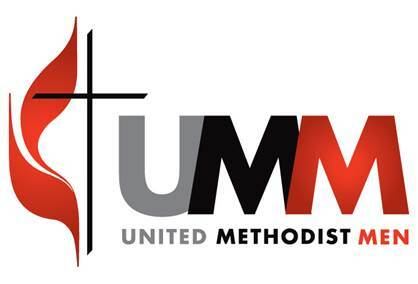 A committee comprised of UMM serves as Host for St. Mark’s UMC. UMM provides the kitchen crew for WNT. There are no dues to be a member of the UMM and no fee charged for the breakfast. It is recommended that members subscribe to the General Commission of United Methodist Men’s Magazine. is the largest, most organized men’s ministry of any denomination in the US. Men matter in the church. A study from Hartford Seminary found that of churches with a worship attendance that is 60% women only 22% are growing; compared to churches with 60% men where 59% are growing. • Teens with religious fathers are more likely to say they enjoy spending time with dad and that they admire him.